Beware The 2017 Great Texas Warrant Roundup! Starting in March more than 300 local law enforcement agencies state wide will join forces for this year’s Great Texas Warrant Roundup. If you have active arrest warrants for old, unpaid citations, you’ll likely be notified from late February through early March via mailed notices and collection calls. This encouragement to voluntarily resolve your old citations is NOT an amnesty. There’s no ‘grace’ about it whatsoever. Paying a fine on an old ticket means it WILL go on your record. All the consequences associated with that follow on; higher insurance premiums, points on your license, even surcharges! 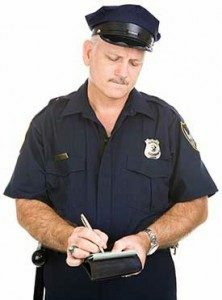 Paying off a ticket for a moving violation, either in its entirety, or at a slightly reduced rate, will result in a conviction appearing on your driving record, and you will be assigned 2 points on your license under Texas’ Driver Responsibility Program. If you pay off tickets for driving without insurance, driving while license invalid, or driving without a license, you will be assessed ‘Conviction Surcharges’ ranging from $100 to $250 per year, for three years. During the Roundup itself, if you have outstanding warrants, you’re subject to immediate arrest. If you’re arrested, you’ll have to post a cash bond in the full amount of your unpaid fines to get out of jail, and if you want any of your money back you’ll have to negotiate a plea bargain from a position of weakness, assuming the prosecutor and the court are willing. We are here to help you! Watch our video and find out how! Put us to work keeping those citations from putting points on your license, costing you surcharges, or sending you to jail! We’ll post bonds to immediately lift the arrest warrants. We can often get an immediate dismissal if the citations are old. Failing that we’ll work to negotiate a deferred adjudication arrangement, doing our best to secure as much time as possible for you to pay off a reduced fine, and ensuring that the citation is kept off your record. All this for a fee starting at $90.00 for City of Dallas warrants. If you have a number of tickets, we offer payment plans or discounts, with up to 33% off our standard fees! There’s no office visit necessary. Everything is done over the phone, online, and via email. Call today, 214-575-6060, or fill out our webform, and we’ll start work on lifting your outstanding warrants, get you back on the road, and most importantly, affording you peace of mind. You can’t say we didn’t warn you! No Time To Talk? Fill Me Out! Where did you get your ticket(s)? When did you get your ticket(s)? Thank You For Submitting Your Inquiry!